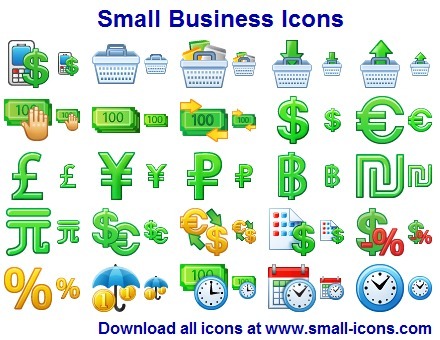 225 royalty-free stock icons for developing small business solutions available for instant download! Small Business Icons represent a wide range of business-related items, concepts, and actions from billing to shipping, from insurance to customer support, and from computer hardware to information security. Drawn in uniform colors and sharing a common gamut, Small Business Icons look strict, modern, and slick at the same time.